I know a lot of people who have a lean January; they go on a diet, give up alcohol, or cut out complete food groups. I do not do this. January is miserable enough without denying yourself treats. 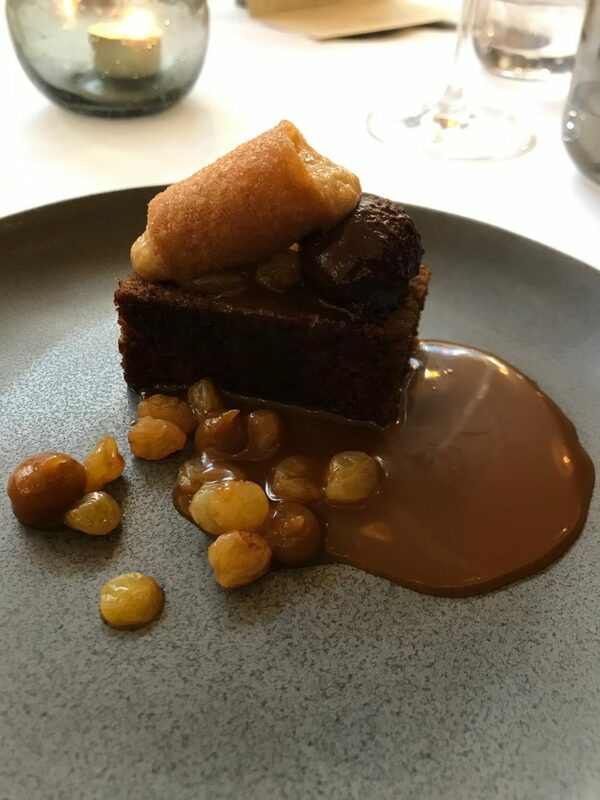 I carry on the Christmas indulgence well into February, and what better way to indulge than to have a six-course tasting menu for lunch at a fine dining restaurant? James and I went to Home, a restaurant hidden on Kirkgate, last week and had a brilliant couple of hours enjoying their latest seasonal offering. 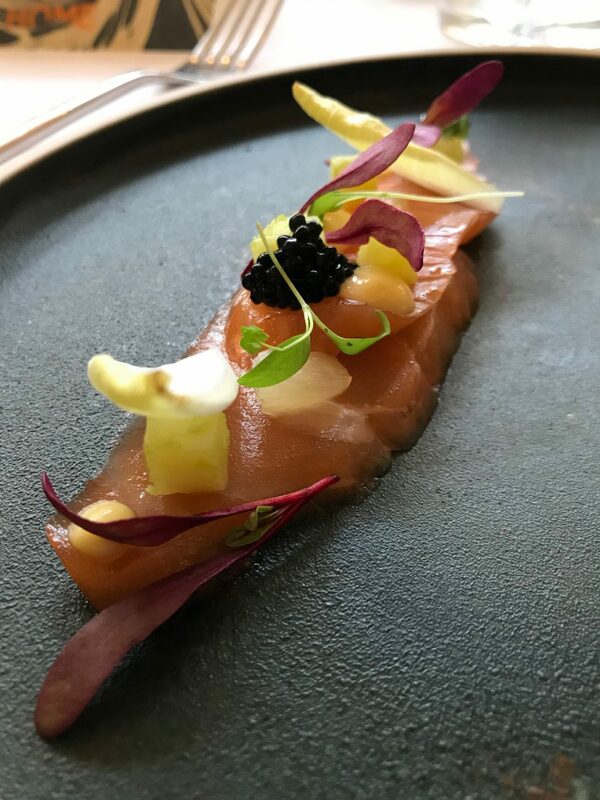 The menu changes on a monthly basis and always features the best of British produce and flavours. If you’ve read my blog before, you may have gathered that I’m not a food critic. I love food but I wouldn’t call myself a foodie. I can’t describe any “delicate essence of earthy tones”, and instead tend to rely on my three staple good food adjectives: delicious, tasty and yummy. I would do the dishes at Home a disservice by attempting to describe them, but I like to be able to pass on a recommendation to readers as long as the food *is* delicious, tasty and yummy; the service is friendly and efficient; the atmosphere lends itself to the occasion; and the price reflects the quality of the food and the overall experience. Home passes the test. Nestled between Superdrug and Cash Converters, you have probably walked past Home before and not even noticed it. It’s not exactly the location you’d expect for a fine dining experience! 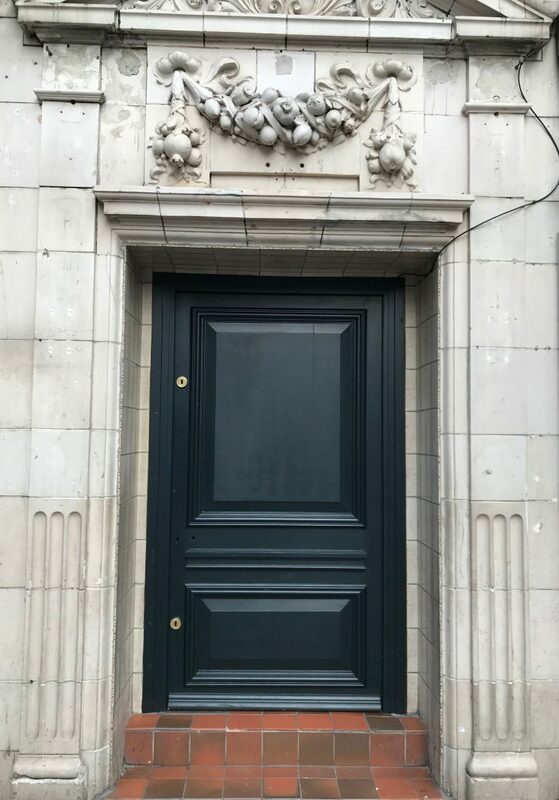 The fact that the entrance is so unremarkable shows that Home relies on its reputation to do the talking. Once inside and your eyes have adjusted to the dark, you walk up some stairs into the bar area. I’ve purposefully not posted any photos of the interior as it’s the kind of thing you should experience yourself – the design is all part of the atmosphere. We were welcomed, had our coats taken (does anyone else struggle to take their coat off as soon as there’s a stranger waiting to hang it up?? ), gave our drinks order, and were handed a copy of the menu to see what we’d be eating. Whilst having our drinks, we were given a couple of beautiful little amuse-bouches which gave us an idea of what we were about to experience. As I said, I’m not one for being able to describe food properly, and it’s hard to do so without sounding pretentious, but these two pieces really did “awaken your tastebuds”. It was unusual to be able to taste so many different flavours and textures, one after the other, and served as a good reminder to me that I should take my time to really enjoy and notice the food, and not just wolf it down as I usually do. We were then shown to our table in the adjoining room, and over the next couple of hours were brought the most amazing dishes. 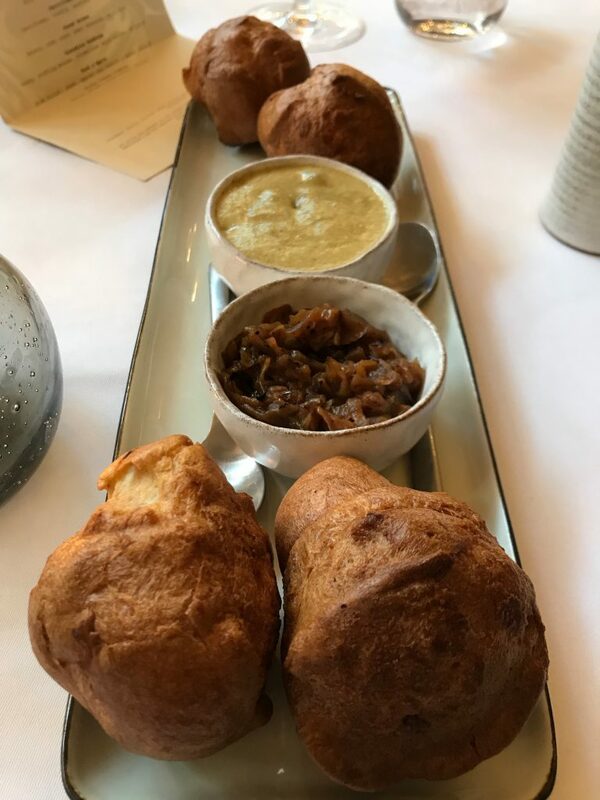 The menu is always designed so that the “dishes are distinctive, yet deliberately familiar.” The Sunday lunch is based on, well, a Sunday lunch, so it was good to see Yorkshire Puddings as well as cauliflower cheese and pork included. 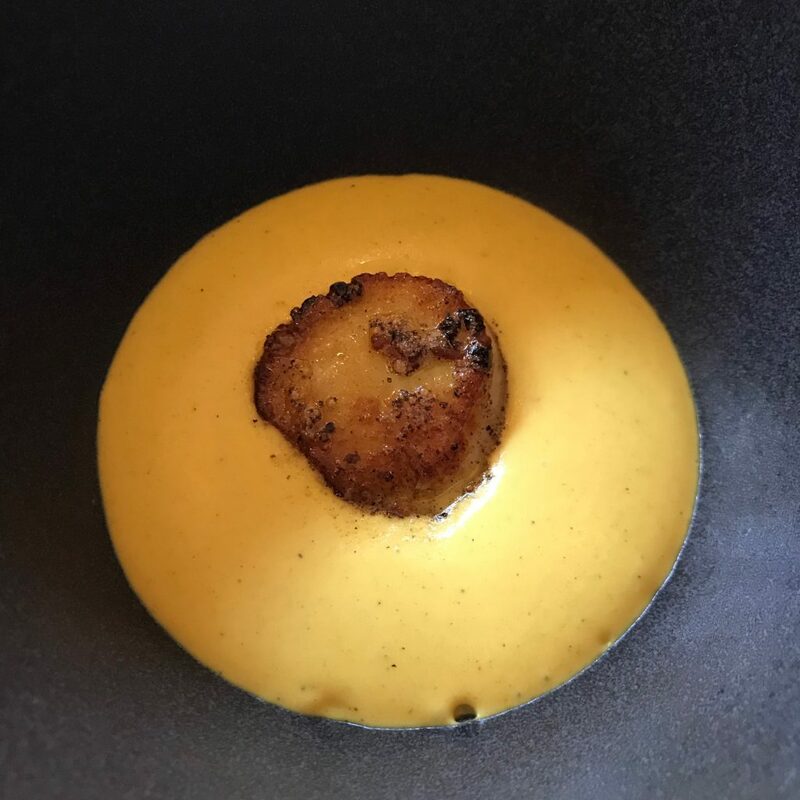 I was particularly pleased to see scallop on the menu as scallop is my absolute favourite when done well, and this was sublime. 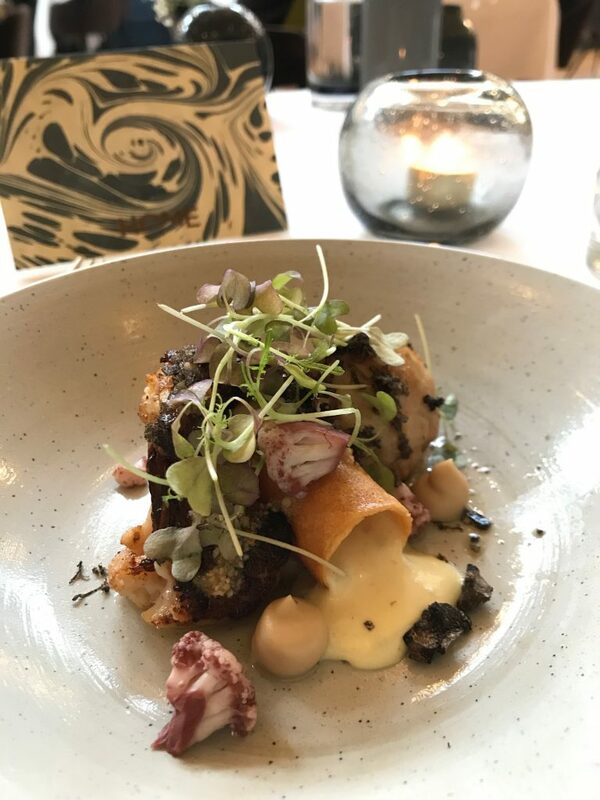 For both the Sunday lunch and the full 10 course tasting menu, you can choose to have your food accompanied by a collection of wines that “the chef and sommelier teams have selected to perfectly compliment each dish on the menu”. We didn’t go for this as, despite having a friend kindly babysit for us, we still had to go back and be responsible parents after the meal. We did both have a glass of wine though and it went with the dish beautifully. As well as brilliant food, the service was excellent. Our server was saying how the waiting staff have chosen hospitality as a career, and it was nice to be served by someone who was obviously knowledgeable and passionate about the food. Home isn’t cheap (understandably), but the quality of the food and the whole experience of the tasting menu is reflected in the price. 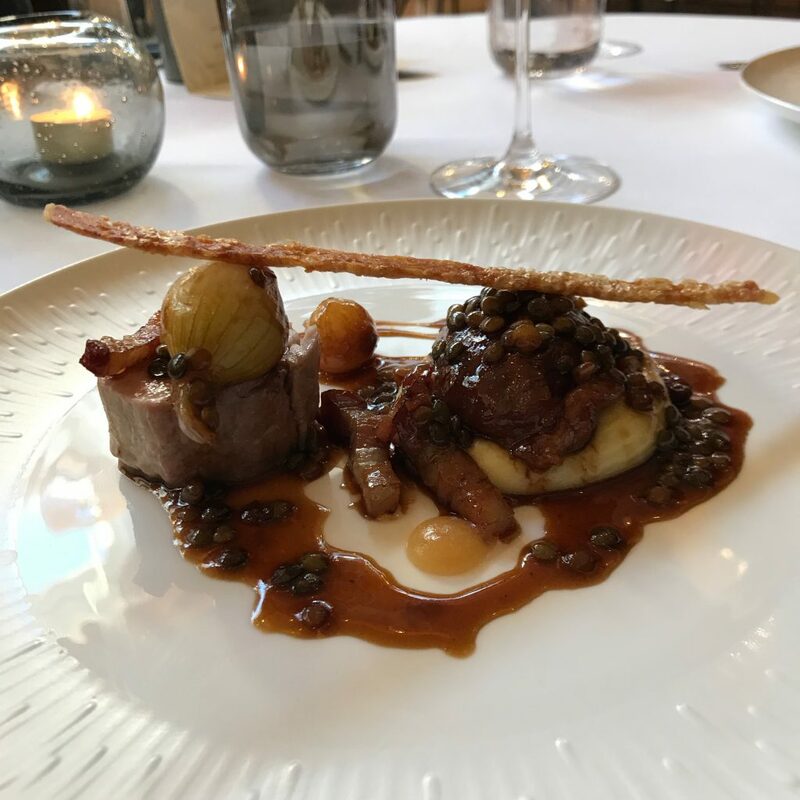 If you’re looking for somewhere to go for a special occasion, and you want more than just a meal out, I would definitely recommend giving Home a try.